All refurbished products have been factory serviced, cleaned and tested and are in perfect working order, All carry a full year warranty on parts and labor. Some signs of use, no signs of abuse. Feel free to call us if you have any questions or to place an order. The Refurbished Jura Super Automatics offer significant savings, an excellent 1 year warranty and are shipped out of the Jura Capresso factory service and repair facility within a fews day of your order. 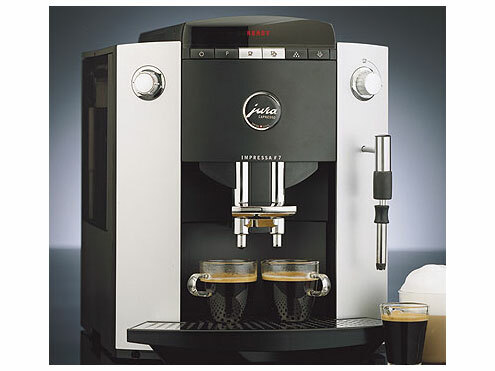 Jura Capresso Impressa F7 Automatic Coffee Center. The Impressa F7’s design concept of symmetrical lines and a clean, clear user interface makes it a great choice for brewing espresso, cappuccino and specialty coffee drinks. The F7 features an easy to read LED display as it displays coffee strength and cup size during brewing. Coffee brewing illumination adds elegance, as do the die cast brewing spouts and the stainless steel drip tray. The refurbished Jura Capresso Impressa F9 is perhaps our best deal in a factory serviced Jura Capresso Super Automatic. $1,000 off and backed by a 1 year warranty. 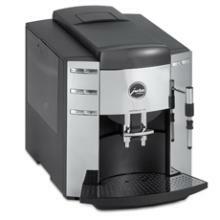 At 1st in Coffee we feature espresso beans, espresso machines, coffee grinders, frothers and coffee makers. 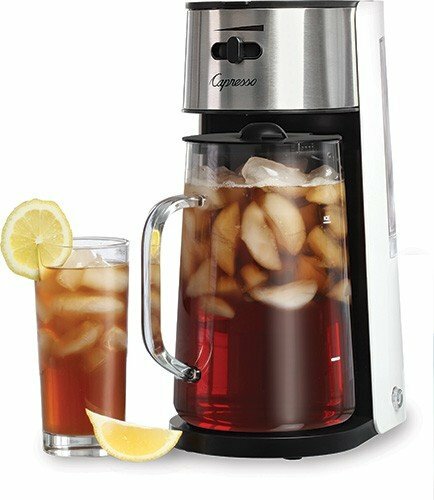 We feature the Cuisinart, Jura Capresso espresso machine, Rancilio silva , Super Automatics, Saeco, Saeco Coffee Machines, La Pavoni, Electra, Pasquini, Isomac, DeLongi, Francis Francis, Nespresso Machine, Salvatore, Vibiemme and Cuisinart brands.